Buying a house is definitely a huge investment decision that should not be taken in haste as you may very well end up regretting it later. The purchase of a home is an investment that requires careful planning and effort. If you put in the time to research and the right planning you will find that great housing bargains are waiting to be taken advantage of everywhere. Whether you choose to purchase directly from an owner or through a bank (foreclosures), the easiest and most convenient way to locate good bargains in real estate is through a reputed real estate agent. This is a hassle free way where you don’t need to go through the trouble of finding the right property as your agent will do the initial grunt work for you. You might not possess the required knowledge regarding real estate to be able to identify the best deal for yourself. A veteran real estate agent on the other hand has the right expertise and skills to make a shortlist of properties matching your requirements. 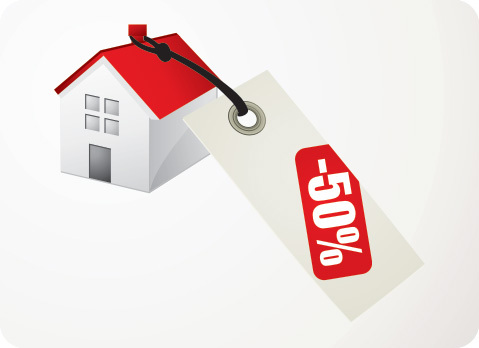 Real estate agents can point you towards the best bargains since they know where to look. Going through a real estate agent has its drawbacks. When you are looking for a deal on a house purchasing directly from the owner might just be the smartest choice. Homes listed under “For Sale by Owner” signs have a lower asking price since there is no selling agent’s fee to be calculated here. Unfortunately, such properties are the most difficult to find. But don’t be discouraged for there are plenty of other clues or hints that can alert you to identify a good bargain. These insiders’ tips assist a buyer to weed through a wide range of properties to find the best deals. What are these tell tale signs that shout a good bargain? The duration for which a particular home has been in the market is a vital clue in understanding whether the owner is willing to lower the asking price. If the property has been put on sale for more than three months the chances are that the owner is desperate to sell it. In such a situation the buyer has an upper hand during the negotiation process. Where will you get such information? You may ask your realtor or check out websites like Newport Beach Homes to find out how long a property has been in the market. The next bit of information that you need to hunt for is how long ago the owner bought his property. If it was more than a decade ago then there are chances that there is a lot of equity on the property which will mean more bargaining room for you. The county assessor’s office will have the necessary information regarding when the property was originally bought and what the price was then, while the auditor’s office will have information on whether the owner took out a second mortgage on the property or not. So get started on research now to locate the best deals. Find out whether the owner has already bought a new home or not. If that is indeed the case then you should know that longer you draw out the negotiation process the more desperate will the owner become to close the deal so that he/she does not get burdened with two mortgages. The more desperate the seller, more the chances of lower rates. While on the hunt for a home look for properties that are listed as contactors’ special, investment property or a fixer upper, as these properties are bound to have a lower asking price. An owner who has already invested a certain amount to repair and fix up his/her home before putting it up for sale would try to at least recover the investment. By contrast a fixer upper home will come at a cheaper price. Finally you may look at foreclosure properties to find a good bargain. When an owner fails to meet his/her mortgage payments and has to give up the property, it is called a foreclosure. However, a buyer should be aware that buying a foreclosure is not as easy a task as it may seem at first glance. Foreclosures are tricky deals that require a lot of research and preparation. First thing that you should understand is that not all foreclosed homes offer good bargaining opportunity; rather there are certain properties where a minimum bidding amount has been fixed. This is fixed depending upon the debts incurred by the previous owner and has no relation to the actual worth of the house. In fact in many cases the minimum bid is more than real worth of the property. Foreclosures also may have unpaid taxes associated which will become your headache once you purchase the property. Hence, you need to tread carefully to avoid getting saddled with a property that might turn into a perpetual drain on your resources. If possible hire an experienced realtor specializing in foreclosures and seek legal advice to protect yourself. If you are convinced about buying a foreclosure then look for notices for trustees’ sales or foreclosure notices which are basically announcements of auction of foreclosed properties. You may search for foreclosures online and check government agencies like Fanny Mae, HUD, IRS and others. You may have to hire a broker to be able to bid for property under government agencies. It is also a smart idea to read up on foreclosure laws of your state to ensure you do not end up making a bad decision. Wait for foreclosures to become bank owned or real estate owned as these involve lesser risks on your part. Bank and real estate owned properties are those which could not be sold through foreclosure auctions. Such properties have no unpaid taxes associated with them, making them perfect bargain opportunities for you. Remember to get the property surveyed and inspected to find out its actual condition and how much you will have to invest for renovations before taking the final decision to purchase. Buy what you can afford to avoid regrets later on.